Posted: June 21, 2018 Updated: June 21, 2018 by onlineph | Filed under Government, Reviews, Technology, Travel. 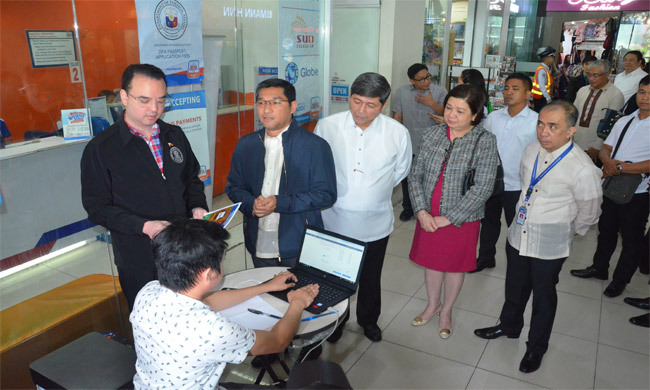 Foreign Affairs Secretary Cayetano shared that this new payment system can bring convenience since passport applicants can pay the fees anywhere. It is also expected to maximize the capacity of every consular office. Cayetano further cited that only 60 to 65% of applicants appear at DFA consular offices on their appointment dates. During the ePayment tests at DFA Aseana, the passport applicant show up rate went up to 94 to 97%. Related: DFA opens 100,000 new slots for passport appointment. In addition, the ePayment will also nix fixers since the applicants are required to pay a fee prior to their personal appearance. This means that the appointment made is non-transferable. The new scheme has safeguards in place to discourage unscrupulous individuals from hoarding the appointment slots. The ePayment Portal now requires applicants to prepay the passport processing fees in the selected payment centers. Eventually, payment through credit and debit cards or over-the-counter cash transactions with selected banks will also be possible. Passport applicants can enjoy this initiative on or before the first week of July 2018 and it will be available nationwide on or before the first week of August 2018. The authorized payment centers for passport ePayment Portal are 7-11, Bayad Center, EcPay, Robinson’s Business Center and Department Stores, Pera Hub, USCC (Western Union), Waltermart Department Store, and Villarica Pawnshop. The passports with expedited processing cost P1,200 while regular processing is P950. Go to www.passport.gov.ph, schedule an appointment to your preferred DFA Consular Office, choose desired passport processing type, and then clicking “PROCEED TO PAYMENT”. You will receive a reference number via email. Use this to pay for your passport processing fee at any of the indicated payment centers. You will receive an eReceipt once the payment is done. Bring two printed copies when you show up at the DFA Consular Office.